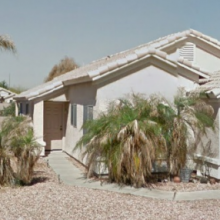 21828 N 32nd Ave is a house in Phoenix, AZ 85027. 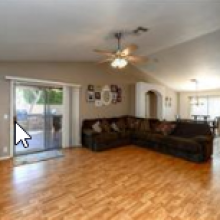 This 1,626 square foot house sits on a 4,700 square foot lot and features 2 bathrooms. 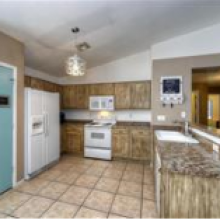 This property was built in 1997 and last sold for $198,500. We estimate the home’s value is now $207,082, which is 4.3% more than when it was last sold. 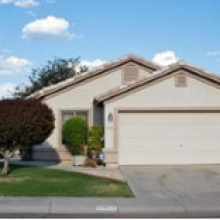 Comparable nearby homes include 21845 N 33RD Ave, 3350 W TINA Ln, and 21820 N 32ND Ave. 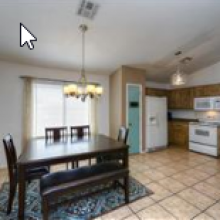 Nearby schools include Paseo Hills Elementary School, Barry Goldwater High School and West-Mec – Barry Goldwater High School. Nearby coffee shops include Terry Espresso, Starbucks and Starbucks. Nearby restaurants include Times Square, Waffle House and Denny’s. 21828 N 32nd Ave is near Paseo Highlands Park, Adobe Dam Regional Park and Adobe Dam Model Airport. There are good bike lanes and the terrain is flat as a pancake. 21828 N 32nd Ave is bikeable, there is some bike infrastructure. 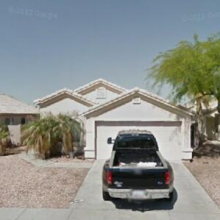 This address can also be written as 21828 North 32nd Avenue, Phoenix, Arizona 85027. Cross Street: Cave Creek Road / Desert Peak Road Directions: North on Cave Creek Road, West on Desert Peak to Misty Willow Lane. Turn left and proceed to 23rd street. Turn right on 23rd street and then right on Dry Wood Rd. House on right. This map layer shows an area’s flood zone des ignation as determined by the Federal Emergency Management Agency (FEMA). A high-risk area has a 1 percent or greater annual chance of flooding and a 26 percent chance of flooding over the life of a 30-year mortgage. H igh-risk areas are red or orange. The coas t areas , shown in purple, are also cons idered high risk . Green areas are low to moderate risk . A moderate-risk area is between risk limits of a 100-year and 500-year flood. White areas are undetermined, and all other areas are cons idered no or low risk . For more details on the categories of flood risk , see http://support.narrpr.com/entries /319901-what-is-the-flood-zone-heat-map. Source(s): FEMA; updated Annually. Not an offering of securities. Private investments are highly illiquid and risky and are not suitable for all investors. Past performance is not indicative of future results. This message is not an offer to sell or the solicitation of an offer to buy any security, which only can be made through official offering documents that contain important information about risks, fees and expenses. Property information contained herein has been secured from sources Loanatik believes are reliable, but we make no representations or warranties as to the accuracy of such information and accept no liability for its inaccuracy. We suggest that you consult with a financial advisor, attorney, accountant, and any other professional that can help you to understand and assess the risks associated with any investment opportunity.